Stop, look, and listen. Or not. This isn’t going to be a beast of a post or anything, but I had a thought on the walk to work this morning. I was about to cross the street in my neighborhood, and I checked to see if a car was coming. Lo and behold, a car was trundling down the way from a leftward direction. The beauty of tiny English roads? After it passed, I didn’t have to check for a car from the other direction, because two lanes in a residential is basically impossible when people have parked up and down the street. Profound? No. But hey, it got me writing on here, and that is the goal! Stay tuned for way more interesting things, I promise. Just trying to go for quantity, since when I mainly go for quality, posting practically becomes a semi-annual habit. Over the past year and seven months that I’ve been here it has come to my attention that many English people – and, I fear, non-Americans in general – have an unacceptable understanding of the various Disney amusement parks of the world. Keep in mind this is tongue-in-cheek…but a good lesson for those uneducated in the ways of Disney as well. 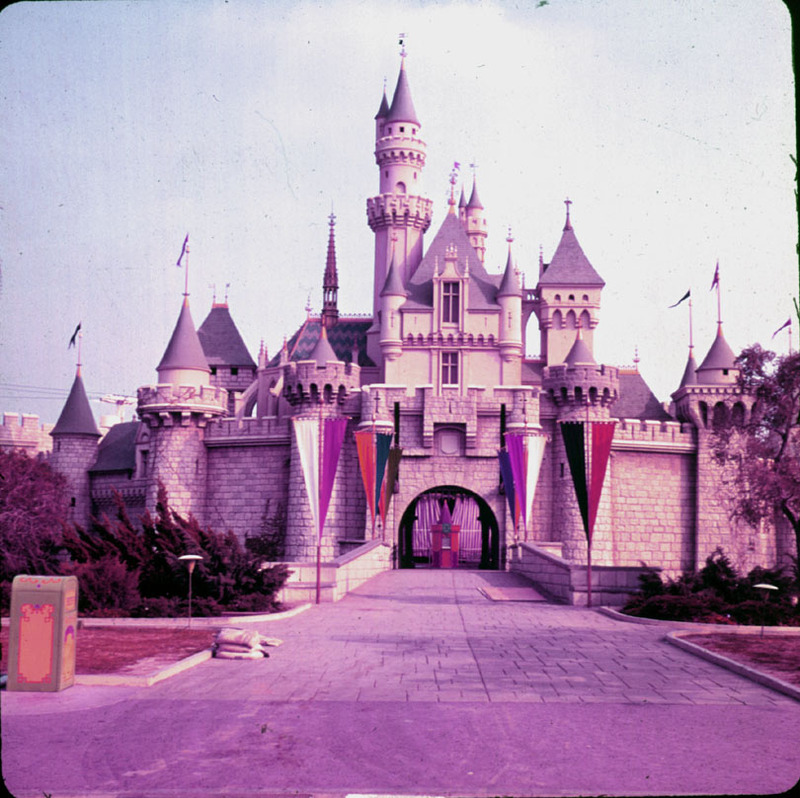 Above, in all of it’s original 1950’s glory, is Sleeping Beauty’s Castle as seen in Disneyland. That would be DISNEYLAND, no city name attached (although it is located in Anaheim, California), because it is the original Disneyland. Opened in 1955, home of the original rides Pirates of the Caribbean (Jack Sparrow, anyone? ), the Haunted Mansion (Eddie Murphy? Let’s pretend that didn’t happen), and the Matterhorn. The original Disneyland has New Orleans Square, Frontierland, Tomorrowland – oh god, just writing about it is making me smile. I don’t care what you say, Disneyland seriously is the happiest place on earth. Disneyworld, which came after Disneyland, is epic, but not the original. It’s exceedingly larger than Disneyland and on the other side of the country and humid where Disneyland is mild and awesome. Yes, yes, I know I am ludicrously biased, but like 75% of what I’m saying here is true. Person: Oh, when did you go to Paris? Me: I didn’t…? I mean the original Disneyland! Person: Oh! Wow! When did you go to Florida? Me: Oh, no, that’s Disneyworld. I mean the original Disneyland, in California! Person: WHAT! There’s a Disneyland in California?